Hungary will offer mothers who have at least four children a lifetime exemption from income tax in a bid to boost its birth rate, the nation’s anti-immigration prime minister has announced. Viktor Orban said the measures were being introduced in a bid to reverse population decline without relying on new migrants coming to the country. Making his “state of the nation” address on Sunday, Mr Orban revealed the government would offer a range of benefits, including a subsidy of 2.5m forints (£6,821) towards seven-seat vehicles for families with three of more children. Women under the age of 40 marrying for the first time would be eligible for a low-interest loan of 10m forints (£27,286), which would be waived entirely if they give birth to three children. Those with four children or more would be exempt from paying income tax for life. 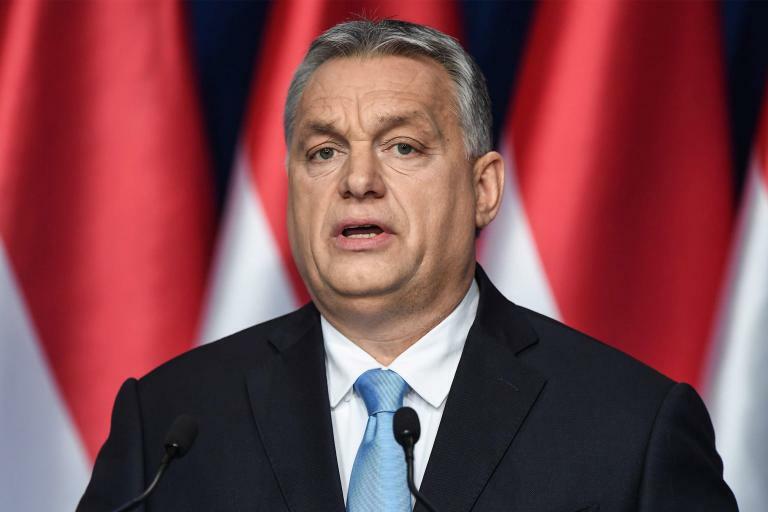 The prime minister also used the speech to kick-start his right-wing Fidesz party’s European Parliament election campaign, repeating his regular assertion the European Union wants to fill the continent with migrants, mainly fromy Muslim backgrounds. Europe’s left-wing had become “the gravedigger of nations, the family and the Christian way of life”, he claimed. Fidesz and Mr Orban approach both European Parliament and local government elections this year hot off the heels of large protests in Hungary against the premier’s rule. But despite protests, the party appears to remain well ahead of its rivals, with its support among the public estimated to be close to the 40 per cent mark by several recent polls.